Clients trust us to measure security program quality, improve productivity, and ensure accountability among all stakeholders. Your organization’s third party risk management process has likely come under increased scrutiny. Regulators, boards of directors, and investors have grown increasingly concerned about potential security risks introduced by both traditional and SaaS vendors. At the same time, life insurance companies are experiencing rapid growth in total number of vendors they do business with, particularly SaaS, as both line of business and decentralized IT groups require specialized capabilities to meet business objectives. The traditional method of relying on vendor surveys and attestations can no longer keep up with the complexity and volume of work required to accurately measure the security program quality of all these third parties. New methods have emerged to help control and manage third party security risks. This webinar presents new methods for measuring the information security quality of any company just by looking at it from an outside perspective. RiskRecon provides you objective and verifiable analyses of any company's security practices. For each third party, establish a base level of trust and pinpoint areas for further investigation. 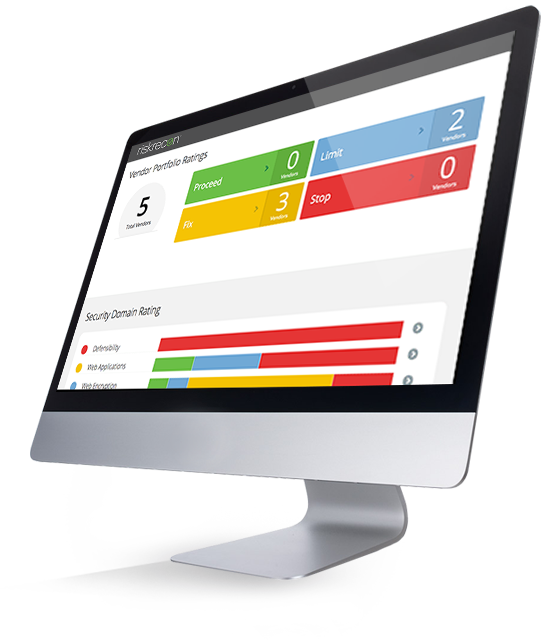 RIskRecon's patent-pending technology enables you to monitor the security performance of third parties and business associates based on their Internet presence. Enable a continuous risk control process. No permissions needed. No hacking. RiskRecon founders are infosec practitioners who sought innovative ways to adapt to the new IT landscape. They needed new methods to measure risk among their ever growing number of IT vendors and SaaS apps. Created by infosec execs for their peers.